We manufacture both rectangular and cylindrical horizontal autoclave systems, which can be further customized in order to match specific requirements of our customers. The scope of customization includes construction material, inner tank volume, valves and printer options. 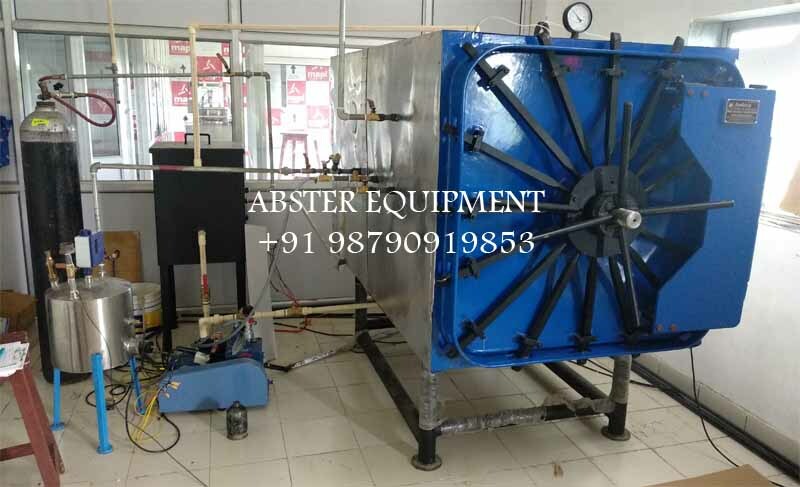 These units can also be constructed with vacuum drying option; for this purpose a provision of vacuum (through vacuum pump) in the chamber is applied. Our each horizontal autoclave unit provides highly satisfactory performance and competitive price guarantee. For controlling sterilization cycle, a three way valve or a multiport valve made of stainless steel is used for controlling sterilization cycle effectively. The pressure inside the chamber is variable from 5 to 30 psi. For completely safe operation of the unit, it is supplied equipping with vacuum breaker, water level indicator, steam trap and automatic pressure control switch. The whole unit of horizontal autoclave is mounted on a robust tubular stand. Power supply required to run this autoclave is 3 phase 440 Volts, on request single phase operation can also be designed. The standard range comes with internal tank volume range from 78 to 360 liters, however on specific requirement of customer, depend on usage these can further upgraded up to maximum 600 liters. 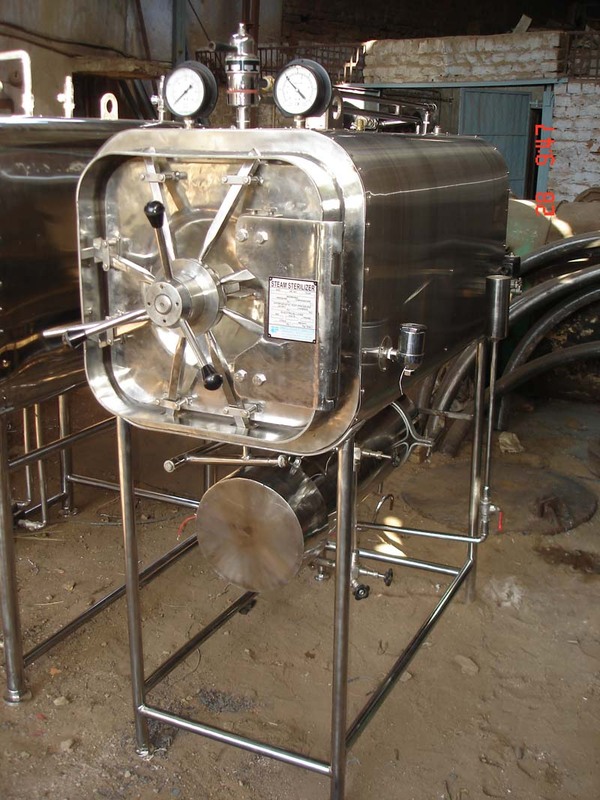 Customers who require below 78 liters horizontal autoclave models these can also be designed on order.